the candle as a candle, and extinguishing the candle. 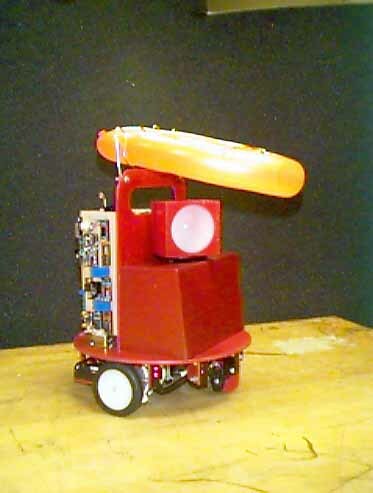 robot forward 2 inches and generates sixteen pulses to the microcontroller. The direction can be determined at any time by subtracting the pulses generated by one wheel from the other. PWM with back EMF speed control scheme). by listening for the loud bang with the same microphone that is used for sensing the starting buzzer. optics, the optical proximity sensors (borrowed for the contest) and time.